Today I’m welcoming Katie from Playing with Words 365 as a guest contributor. Katie is the go-to place to send parents. She’s doing an amazing job at explaining the SLP lingo to parents! First of all, a huge thanks to Jenna for asking me to be a contributor to her great month of guest posts! It is such an honor to be here! If you don’t already know me, my name is Katie and I blog over at playing with words 365. I am a pediatric SLP with several years experience in the schools, but I now work part time for myself working mostly with birth to 5 so I can stay home with my two babies. I started my blog to help parents and other professionals better understand speech and language development and what is normal, and what is not-so-normal, and how parents can help their child. Why? Because over the years I was constantly being asked by parents how they can help their child. And let’s face it: When you are working in the schools full time you barely have time to eat lunch let alone have frequent meetings with the parents to teach them how to help their child. Right? Involving the parents can be….time consuming. 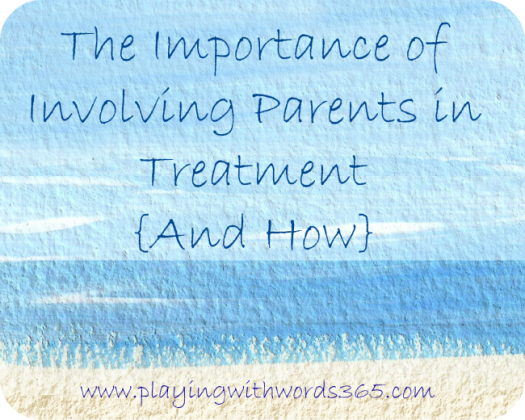 But I do think it is so very important to involve the parent in their child’s treatment. Before I begin, I will be honest that most of my experience (but not all) being an SLP has been in environments where most parents are very involved with their child’s education and treatment. I know that many of you reading this are not working in environments like this. Some of you probably can’t even get parents to attend IEPs. I know that is a reality for many of you. You can only do so much with high caseloads and little time. I do hope that you can still walk away from this post with a little something you can use going forward. I also realize that even when you are in situations where parents ARE involved, that finding time to educate parents and other caregivers can be close to impossible with high caseloads. I get it. I’ve been there. I’ve soooooo been there. But I also know that when we do involve parents, there are amazing results. Why Is It Important to Involve Parents? If you already follow my blog, you know my daughter suffers from an autoimmune disease that attacks her joints. In fact, her illness is what pushed me to resign from the schools. Because my child suddenly needed physical therapy and occupational therapy. Yes, I have been on the other side of the therapy card. 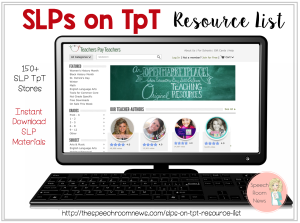 Because of being an SLP, I already knew quite a bit about PT and OT but as a parent I wanted to know exactly what was going on, why, and how I could help. It is a hopeless feeling, knowing your child needs this help and you want to do whatever you can to help. And I think sometimes as the SLP we can forget about the parents and how they might be feeling. Put yourself in the parent’s shoes. Their child needs therapy. It is scary. And I am not just talking about kids with severe delays. Yes…even though you and I don’t give a second thought to treating an /r/, even those parents can be very upset that their child needs help for this. And they want to know how they can help. There are so many different ways to involve parents in their child’s speech therapy, and you need to take a look at your work environment, your caseload, and the specific children you are working with to figure out what will work for you and you also may have to try out different types of methods to see what works best for you. I am going to give you some suggestions I have used in the past. I think the one thing to keep in mind, is one of the best ways to involve a parent is to educate them! Involve the parents in the sessions (If you are in EI or private practice). If you work in EI and go into children’s homes, the best way to involve parents is to have the parents involved in the sessions. This means, you make it clear to the parents that they are part of the solution for their child and that they need to be present during sessions so you can teach them how to be their child’s own SLP 24/7. One of the best posts I have read on this topic is Kim from Little Stories. 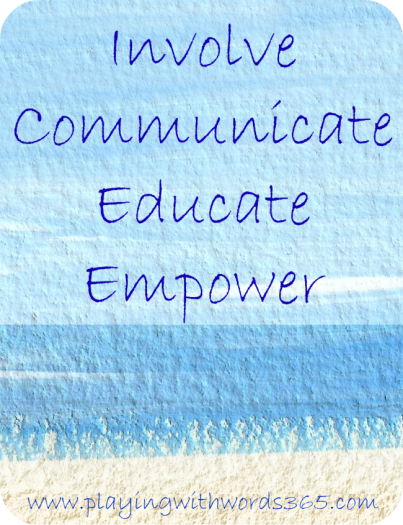 Check out her post on the PediaStaff Blog called A Therapist’s Mantra for Early Intervention. Let them know what you are doing and why. Let’s say you go to the doctor and they diagnose you with something. You will want to know what the treatment is, why that is the treatment recommended and how long it will take. Try to tell parents what your plan is. If you are working with a child with a phonological delay, explain what methods you are using and why. Have a speech folder that you can send back and forth to parents. Write notes in it that just don’t just give progress updates (which are great too!) but actually provide tips that the parents can use at home. For example, if you are working with a child on eye contact and you have found a great cue to help him remember to look at others, send home the cue with directions on how and when to use it. Keep the tips simple and one at a time and offer to explain them further via phone or email. Write it into the IEP. Ok ok…after you have finished rolling your eyes at me give me a second to explain. In one of the districts I worked in (My most favorite district ever) it was very common practice for us to write in “60 minutes a month consult” into the IEP per month. That works out to 15 minutes a week. Now, I was fortunate to have a director that listened to us all and was sure to make sure our workload was somewhat manageable, so I never had some of the caseload sizes some of you deal with. But when it is on the IEP you need to be able to schedule it in somewhere (theoretically) so what I did was schedule off blocks dedicated to consult time/testing time and I used the time for either/or. Some others call this “indirect services” I believe. Anyway I used this time to email parents, print out things I wanted them to read, call preschool teachers to check in, etc. (I worked with preschool and middle school there and all the parents wanted us to be in contact with the preschool the child went to-all private- to help them help their child). I know this isn’t feasible for everyone but it worked very well for me. Give them some reading material. Parents LOVE to have more knowledge that can help their child. When I was working in the schools, I had several copies of many of SuperDuper’s Handy Handouts already printed out and ready to go. I give them out at IEP meetings and send them home as needed. You also can send them links or print out posts from websites/blogs and send them to the parents. Send out Newsletters. These may not be quite as individualized, but sending out monthly newsletters is another way you can try to keep parents in the loop. I always had these on my “to do” list when I was working in the schools and plan to start doing them whenever I go back to working more hours. But What if They Don’t Want to Be Involved? Though Kim is talking about EI and working in families homes, I feel this is really a great way to look at the way we work with and involve parents in the therapy process. It isn’t always easy, no it isn’t. And it takes time and patience. But in the end, we will see better results. So now I want to know, how do YOU keep parents involved in their child’s therapy in this very busy career we all share? I LOVE to learn new methods! 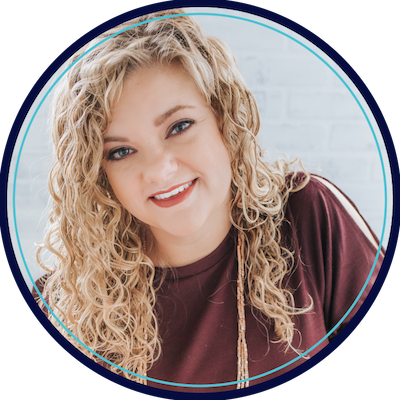 Katie is a a mom to two little ones, E (almost 4) and Ev (21 months) and a licensed and credentialed pediatric speech-language pathologist (when she finds the time). 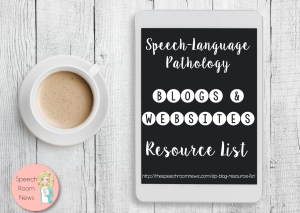 She blogs over at Playing With Words 365, sharing information about speech and language development, intervention strategies, therapy ideas and tips, and shares a little about her family and their life too. You can follow along on Facebook or Pinterest for more speech and language ideas and tips. Wow, what a great post! The line, “…parents appear to not want to be involved because they are scared they are going to screw it up” really resonated. Thanks for the perspective, Katie and Jenna!! Thank you! I really liked this post. I work in a school with second language learners. Most parents who are not native speakers are afraid to do anything with their children in Spanish. We have a parent liaison employee and together we are having a parent evening. I will stress to the parents to work on everything in Spanish. I copied the Spanish version of the basic concepts that children need to know in K,1st and 2nd grade. We will be demonstrating how to focus on 4-5 concepts at a time while doing anything: washing dishes, grocery shopping, etc. I’m first getting together with the liaison who will be speaking in Spanish to plan out this meeting. It will probably be next month. If it is successful, I plan to have more. Shira that sounds fantastic! You know, I didn’t even mention the struggles some of you will have involving parents simply because of language barriers. I am sure that adds a whole different dynamic. Sounds like you are doing quite a bit to help those parents out…good luck! This post is great! I worked with birth-5 for 10 years and you really do get a unique opportunity to involve parents. I am now working in a center-based program and communication with parents requires much more effort. You really offer a unique perspective as both a therapist and as a parent of a child receiving services. Thank you for sharing! I love your blog, too! Monica, thanks for the kind words! I am sure it is a very different situation for you now, have you found some great ways to include parents on your new center?